Summer gel manicure - Depend Towel Boy & Summer Splash - Cherry Colors - Cosmetics Heaven! It's been so long since I did a manicure post. And even longer since I did a gelish manicure post. Crazy, isn't it? 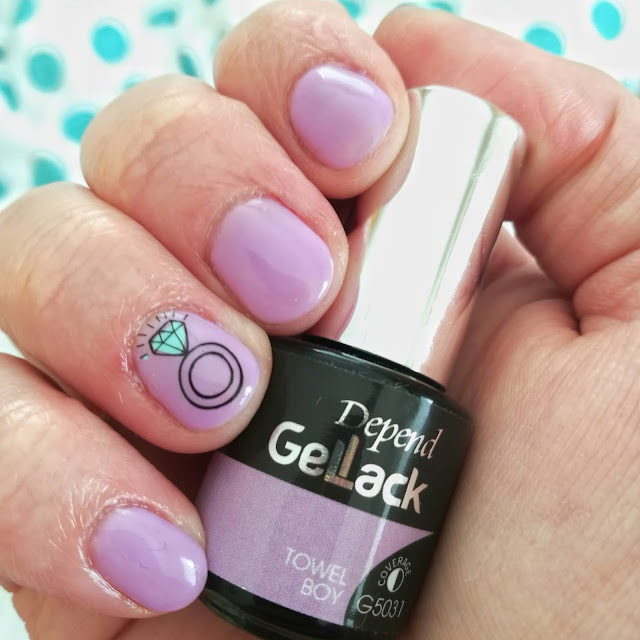 I actually didn't wear gelish all that much since having a sedentary job doesn't really hurt my nails - on the contrary - they hardly ever chip! 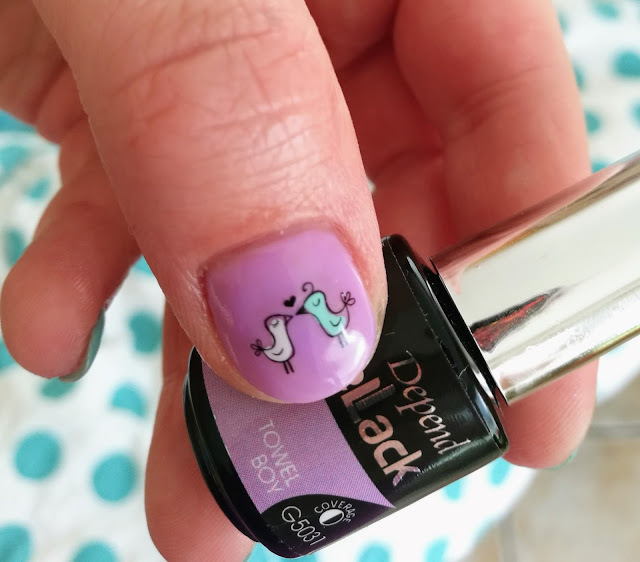 But since I saw these two nail polishes in the drugstore I went to which is one of those that I skip if I don't have to go in (Tuš drogerije). I think they are from the new collection? But I don't know. Finding new editions of Depend Gellacks in our stores is a mission impossible. I combined two gel polishes - one on each hand so I don't get bored of them too quickly. The first is named Towel Boy which is a lovely lilac. Cool toned. I added a sticker by Essence (& the lovely little things LE). The stickers are fantastic! 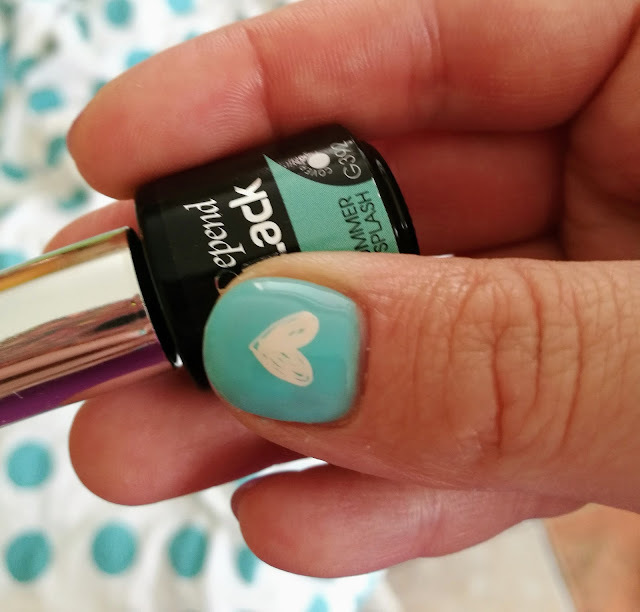 They have a soft film over the design which feels better than those usual stickers - they are of a very good quality and will easily survive any manicure. I used three layers of the gel polish to get an even opacity. 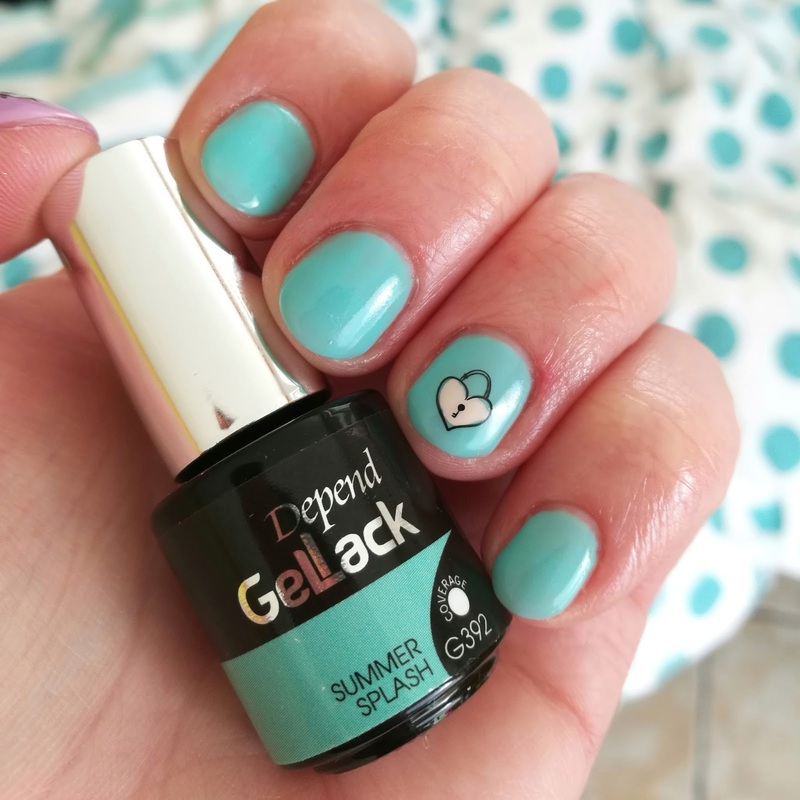 The gel polish on my other hand is called Summer Splash which is a pretty blue - mint color. It's a true mint that leans on the blue side. For this one, I also used three layers and I think I could do with one more (which is the same I feel for the Towel Boy). The colors are really pretty and combined with these stickers they make a nice Summer manicure. So fresh and pretty! 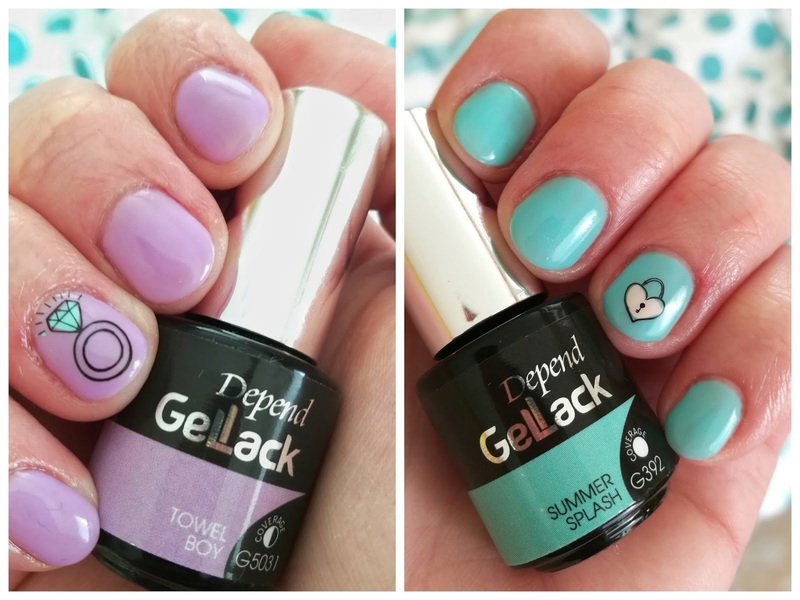 Did you find any of the new gel polishes in store? Let me know in the comments below.